Can cancer be treated with the Ketogenic diet? Recently, there have been many reports that ketogenic diet (keto diet) can cure cancer. Patients with long-term cancer like medical care can no longer help, get healthy with a keto diet. But what is keto diet, and does it really work? Low Carb High Fat (LCHF) has become popular, and everyone now knows that LCHF is about. To radically reduce the amount of carbohydrates. Reduce Fast carbohydrate in particular and increase the Fat intake. There are good and bad fats, and hard-processed or ruled fat should always be avoided. Animal fat would be dangerous to health is now highly questioned, while much evidence is that sugar and other fast carbohydrates can cause cardiovascular disease, cancer, and obesity. Keto diet is an extreme variant of LCHF where you should reduce the carbohydrates in the diet to an absolute minimum, so that the cells of the body no longer live on glucose (blood sugar), but instead burn fat or ketone bodies. Normally, carbohydrate will turn into glucose which is the body’s main fuel, but if we eat very little carbohydrate and more fat, our liver will instead send out fuel in the form of fatty acids and ketone bodies. We say that the body is in ketosis. When you go on a ketogenic diet, the body comes into ketosis. The blood contains more ketone and less glucose. The cancer cells can not live on ketone bodies. Cancer cells grow and multiply rapidly and need a lot of fuel in the form of glucose. When we minimize the amount of glucose in the blood, the cancer cells starve and die. There are also studies showing that cancerous cells have difficulty surviving near ketone bodies. It is difficult to do research on the connection between diet and cancer. Partly because nobody is earning research, so it’s hard to get funding. Secondly, there is a risk of squabbling. Only those patients who are terminally ill have been offered to participate in the trials. 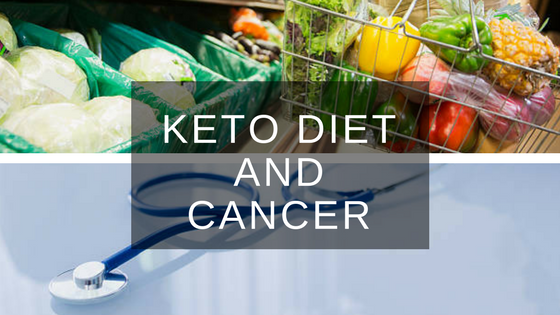 But there are studies that show that those who try keto diet to cancer feel better, and also some anecdotes about people who have become completely healthy. It is unclear if those who tried keto diet on their own have managed to get into ketosis, and if they have had a good nutritional distribution. Perhaps they have failed because they did not get help to reach ketos or because they lacked essential minerals or vitamins or other.